A TV is a living room essential, as it one of the biggest means of entertainment in any household. TVs are found in every home, and sometimes even, in every room. 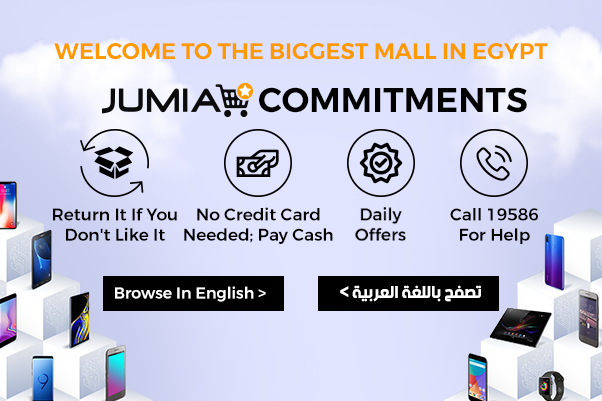 You can find an enormous collection of different TVs on Jumia Egypt which include LED TV, LCD TV, OLED TV, Smart TV, HDTV and combinations of two or more of these. Shop today for amazing brands of smart TVs such as Samsung Smart TV or LG Smart TV. The perfect TV set depends on the décor and size of your room; you can get different sizes or even shapes such as the new curved TV. Get yourself a 52 inch TV for the living room, for example, while the bedroom would need a smaller size TV screen such as a 32 inch Smart TV. You can find the best and most affordable television prices in the market at Jumia Egypt. We offer daily deals and discounts on all the best brands of TV such as Samsung TV, LG TV, Tornado TV and JAC TV. Shop for your new favorite TV today whether it’s a flat screen or curved TV and get the fastest delivery to an address of your choice, only at Jumia Egypt.